At Penn Station East Coast Subs, Their menu now features an array of mouth watering Grilled East Coast Style submarine sandwiches, fresh-cut fries and hand-squeezed lemonade. All sandwiches are prepared fresh in full view of the customer using delicious hearth-baked bread, USDA steak and the finest meats, cheeses and vegetables. The potatoes are hand selected, fresh-cut and flash-fried in cholesterol-free peanut oil. The lemonade is made from scratch every day using hand-squeezed lemons. You'll need $100,000 in liquid capital to open a Penn Station East Coast Subs. The minimum you would expect to invest in a Penn Station East Coast Subs location is $255,900. The high end of the total investment required to open a franchise is $451,700. The franchise fee to open a Penn Station East Coast Subs unit is $25,000. There is currently a total of 83 units in operation. Penn Station East Coast Subs is listed in the Franchise Directory under the Food category. It's also listed in the section for Franchises Under $150,000. 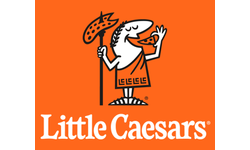 Little Caesars is one of the largest pizza chains in the U.S., just behind Domino’s and Pizza Hut. The company's signature competitive differentiations are its HOT-AND-READY, which allows walk-in customers to purchase fresh, pre-made food with little to no wait time, as well as its large $5 pizza offerings. Customizable made-to-order items are also available. Within a crowded industry, Little Caesars competes by unapologetically selling immediate gratification and affordability. Franchisees can open a standard Little Caesars restaurant or a variety of non-standard models. Aloha! In Hawaiian culture, ʻohana means family. As a Maui Wowi Hawaiian Coffee & Smoothies franchisee, you'll join an ʻohana of fellow owners running a fun, mobile business serving delicious coffees and all-natural smoothies. You'll place your tiki hut-style mobile carts in high-traffic venues such as sports arenas, convention centers, concert halls, college campuses, and more. With Maui Wowi, your coffee & smoothie business can operate weekends or 7 days a week -- the decision, and flexibility, is always yours. 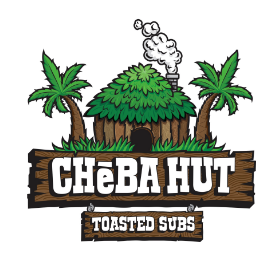 Cheba Hut Toasted Subs is breaking the mold of fast-casual concepts by becoming the first marijuana themed restaurant. They are dedicated to combining locally sourced ingredients with a chill, eclectic environment.